I'm really not happy with the direction the story started going with Oppa. Yes, I figured he'd have a romantic comeback, but at this stage in the game his "loveline" is starting to feel like an undying pest rather than a compelling story. You can't have Chilbongie do things like ride 12 hours to meet with a girl for one hour, then expect us to greet this long-absent and frustratingly dense Oppa with open arms. 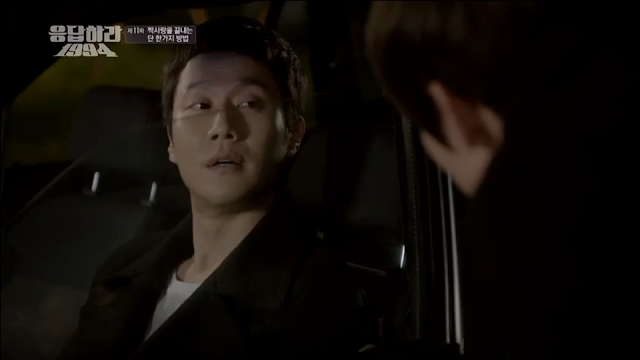 Even worse is how mopey and pathetic Na Jung becomes in any scene featuring Oppa. She's at her best, both in terms of her true personality and character strength, when she's with Chilbongie, just as she's at her worst with Oppa. The former, not the latter, is what equates to true love in my book. The thing I'm never going to get over is the fact that one guy chose to toil through a journey in hopes of passing the New Year's with the girl, while the other chose to go to a pool hall. Oppa might say he's emotionally confused as to whether he likes her, but I think the answer is staring us and him in the face. Actions speak much louder than words. More of a moot issue, but he's also going to have to convince me that he's not gay. It's not wishful thinking so much as the fact that he's spent the last five or so episodes doing sweet things with and for Binggeure, just as Chilbongie spent it on Na Jung. Similarly, he chose to spend New Year's with Binggeure, and I'm still not sure what to read of his answer to whether he'd watched "Killing My Wife". 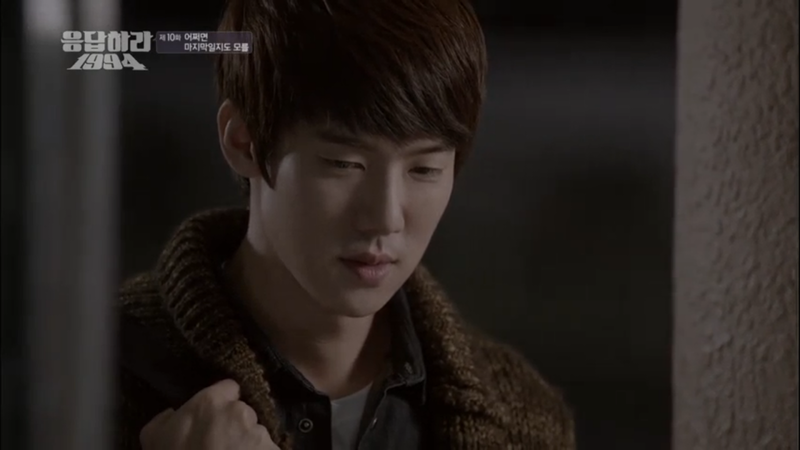 Na Jung fans might say he didn't remember the plot for the same reason she didn't remember it - because he was focused on her the whole time. But my initial read of that was that he said it to placate Binggeure, to not disrupt the latter's plans for the evening. At this point, I'm just not finding Oppa appealing as a character, except in his scenes with Binggrae. Around Na Jung he veers towards boring, uncertain, and quiet. Even more, I found his explanation of denial with Haitai to be absolute fluff. So what if your parents are friends? It's not like you're actually related, and they'll get over it - heck, they'll probably be happy because now they'll be joined as in-laws. I'd prefer Na Jung to end up with any guy aside from him - Haitai's really been stepping it up, and Chilbongie doesn't require explanation. If the parents are anything to go by, the first love doesn't have to be the last love. I don't think Haitai has any feasible chance at this, but it'd be great if the writers were willing to throw a total wrench in and have him as the end game. But I still prefer Chilbongie, though similarly it probably won't happen unless Na Jung starts showing some full-out reciprocal interest in the next couple of episodes. The comment dad made at the wedding about the groom appearing the ugliest is worrisome, because we all know he adores Chilbongie and rats on Garbage. I'm left discouraged, but here's to hoping that the cohabitation might finally push us in the right direction. I found Oppa sweet at the beginning but now he's just tiresome and it would be refreshing to see Na Jung get over her mopey first love and move on. I'm team Chil Bong but would be open to seeing a twist with Haitai! I agree that Na Jung needs to show some clear signs of interest in another guy very soon or we will run out of episodes for it to seem natural.